Game Summary: In the shortest run of SCP-3301 thus far, Dr. Avery Bone and Dr. Owen Mars of the SCP-3301 research team ran the first test thus far of the “Apollyon2” difficulty setting. Before Spc. 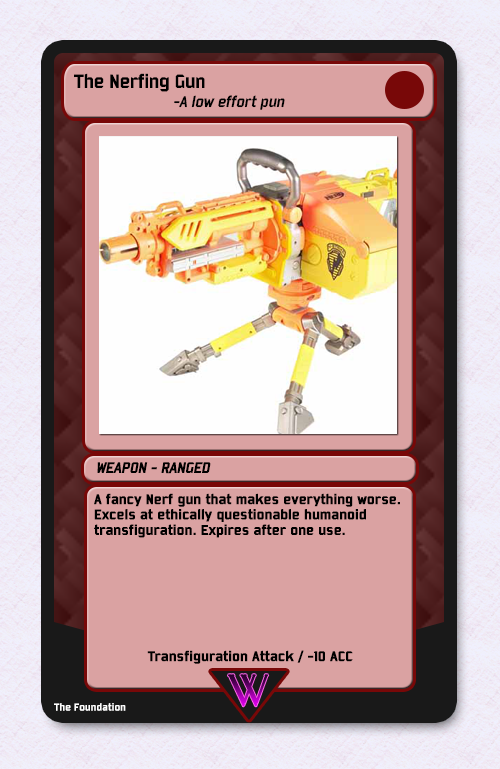 Thompson succeeded at containing the anomaly, Agent Shaw recovered enough to use her red card "The Nerfing Gun" to transform Spc. Thompson into an Orangutan. Spc. Nanku, who until that point had been occupied in a fistfight with a sepia-toned humanoid that self identified as "Murphy Law," then arrived and was able to contain the anomaly, and thus winning the game. Agent Peterson equipped Agent Quinzeen with the Red Card "Anti-matterman's Perfecto-suit", enabling them to traverse the lunar surface. Agent Quinzeen's training with cognitohazards assisted them in navigating despite blindness, and they reach the surface exit. Agent Peterson draws the Black Card "Neutralised", expending "Anti-matterman's Perfecto-suit". Researcher Pentach equipped D-93017 with the Red Card "Map Map", enabling them to see (but not identify) all active cards on the map. 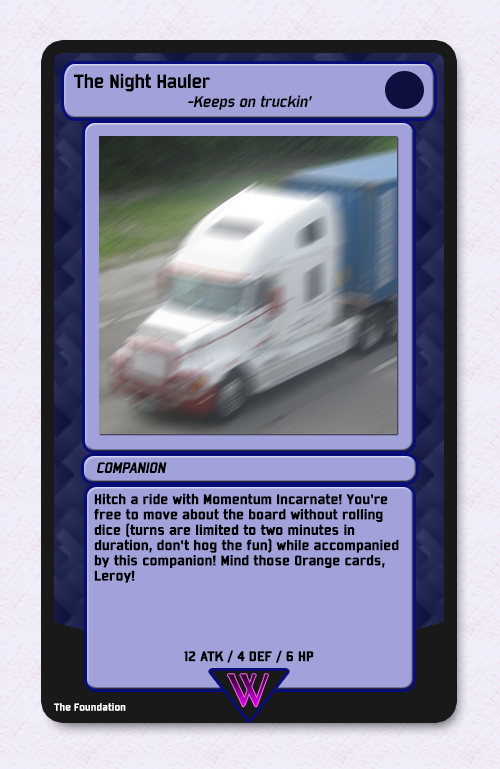 An Orange Card — assumed to be the second Supreme Divine entity spawned on the fourth turn — was seen navigating towards D-93017. Researcher Pentach directed D-93017 to the high-speed rail, but D-93017 again failed to follow instructions. 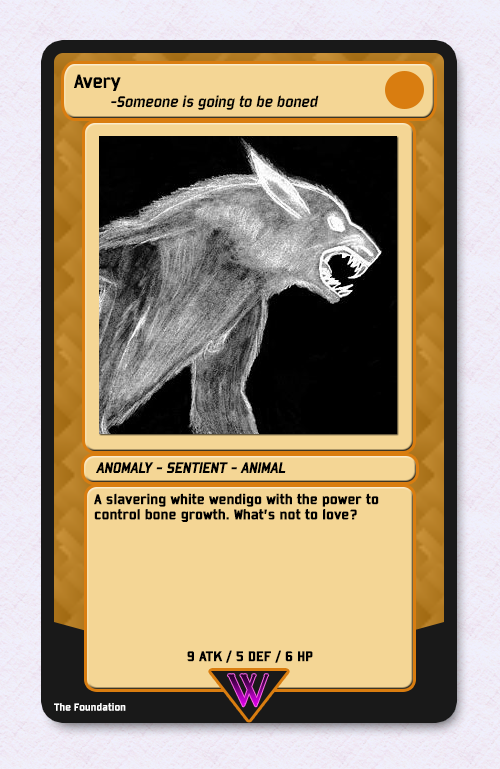 At this point, Researcher Pentach attempted to cheat by introducing a foreign card — "Pot of Greed", from the Yu-Gi-Oh card game — to the game. SCP-3301 accepted the card, dispensing two cards; both cards were copies of the Black Card "Pot of Weed", forcing Researcher Pentach to immediately draw two more cards for each. All four drawn cards were additional copies of "Pot of Weed"; all cards that Researcher Pentach drew using "Pot of Weed" were, invariably, additional copies of "Pot of Weed". Researcher Pentach's behaviour rapidly degraded in a manner indicative of a psychoactive drug overdose; upon reaching 256 copies of "Pot of Weed", Researcher Pentach became incapable of any further action, apparently lapsing into a vegetative state.3 Other players were unable to execute any tasks, as Researcher Pentach had been unable to end their turn. Sgt. Kaderowski: Pentach. That's cheating. 2. The meaning of this and the Maksur difficulty is unknown, as neither are officially registered object classes. 3. As "Pot of Weed" has not been encountered outside this event, it is unknown if this was an intentional function of the game or not. 4. Sic. 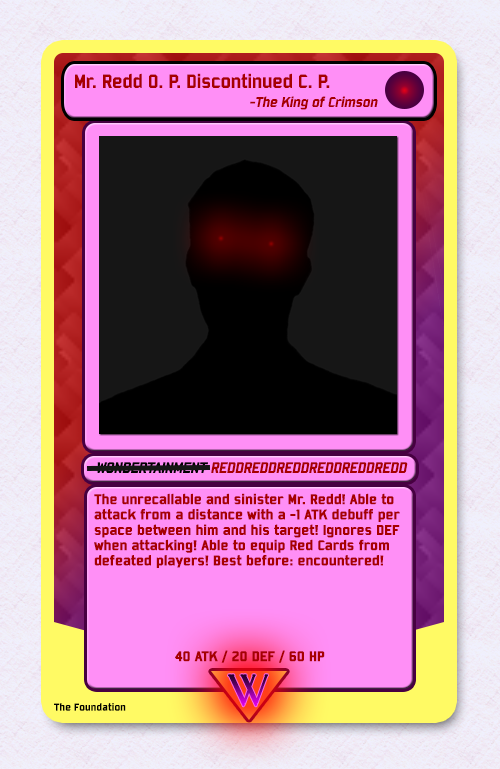 ; All text on the card, excluding the Companion type, was blacked out. 5. 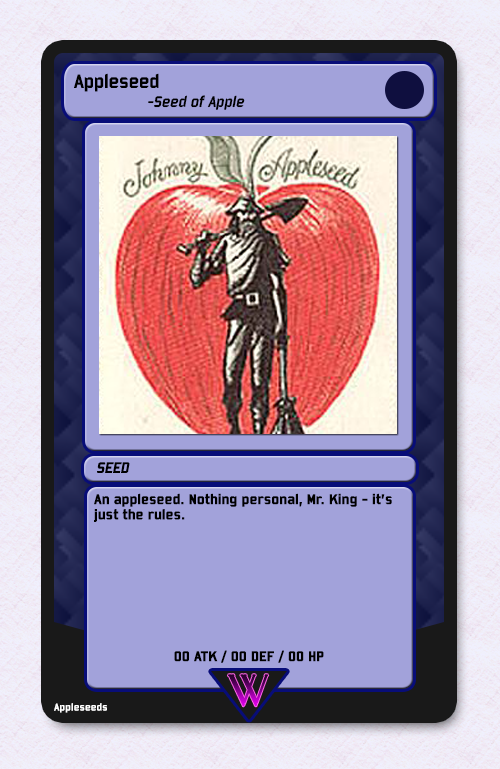 Despite being set to Safe, the game functioned more akin to Neutralized; all exposed blood was replaced with an equal volume of apple seeds, and no functional anomalies were encountered. 6. 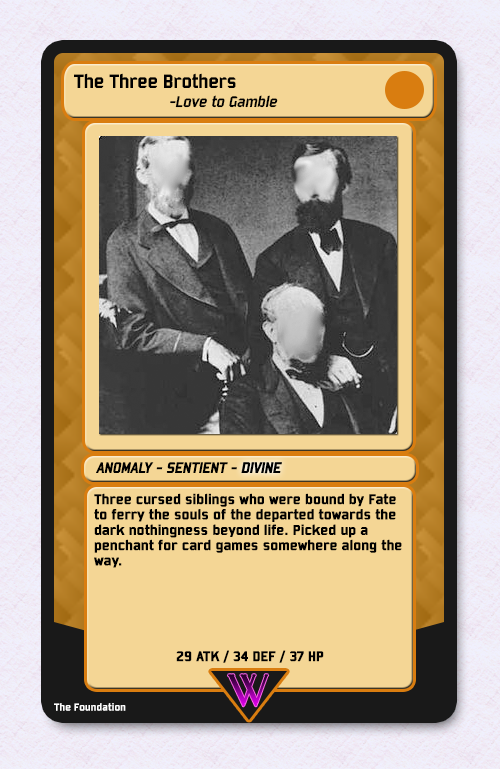 While the colour of the cards varied, their content was identical. 7. Only applied when card was Blue, Orange or Purple.